What keeps you awake at night? Is it fear of the unknown, concern about your preparedness, that burrito you had for dinner? Smart Parking and the Smart Cities tsunami might be lurking in your subconscious. Wait! You say. I run the parking at a university, or an airport, hotel, or shopping center. What has Smart Parking/Smart Cities to do with me. It could be a lot. Smart Parking covers a broad spectrum of topics including AVI, LPR, sensors, parking guidance, and connected cars. It deals with smart apps, parking reservations, and smart phones and how drivers will find your parking facilities. Want to talk about revenue control? How about how money will be collected in the future. By the way, the future may be this afternoon, or tomorrow, at the worst case, next year. Huge companies like Google, Apple, IBM, SAP, Inrix, and many others have their fingers in this very complex pie. And PIE 2018, the Parking Industry Exhibition, which will be held in March in Chicago is the place to find the answers. 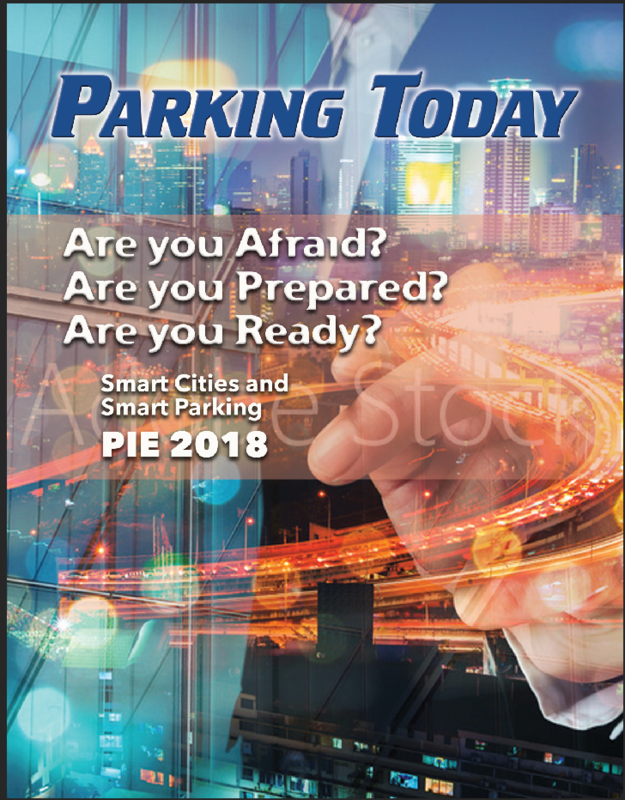 This year and entire day at PIE is devoted to the topic of Smart Cities and Smart Parking and how they will affect your organization, your staff, and maybe even your job. Inform parking managers from municipalities, universities, airports, and major business centers about the Smart Cities conversations that are taking place in cities, large and small across the world. Give an overview of the technology, both in parking and in other smart cities areas, that cities considering Smart Cities will be using. Give the attendees ideas as how to get a seat at the Smart Cities table and what they will be bringing to the party. The program will include two speakers serving as keynote presenters, one discussing Smart Cities and the other Smart Parking. Each panel will have someone from parking, IT, and city government or technology providers. In addition, we will have a number of short presentations from vendors who supply both smart city and smart parking technology. The event will end with a summary of what had been discussed and take-aways that attendees can use as they return to their organizations. We at Parking Today feel this is a real issue for our industry and in keeping with that, are planning a day long Smart Parking/Smart Cities component at the 2018 PIE event to be held March 26-29 in Chicago. The seminar will be Marcy 29. For full details log on to pieshow.parkingtoday.com.